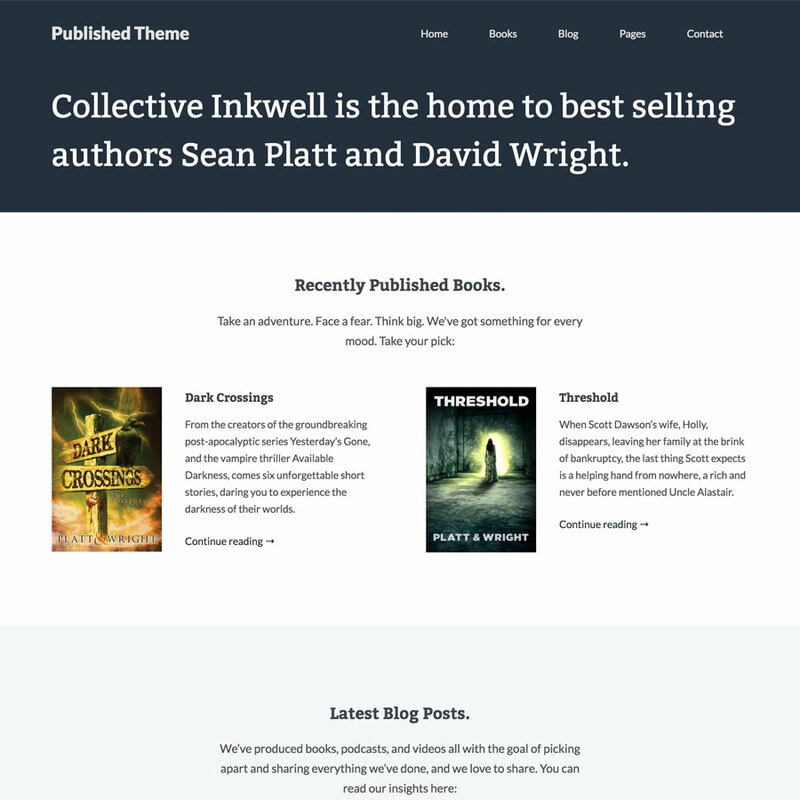 Published is the perfect theme for self-published or traditionally published authors. Published supports Amazon, Kobo, Barnes & Noble and Amazon UK. You can also add your own retailers.